In the first installment in the Port Aster Secrets series, Deadly Devotion weaves a web of intrigue around the sleepy town of Port Aster and the death of a research scientist. While police believe it to be a suicide, evidence mounts that leads Kate Adams to believe it had to be murder. Suspicions lead to danger as Kate struggles to uncover the truth. 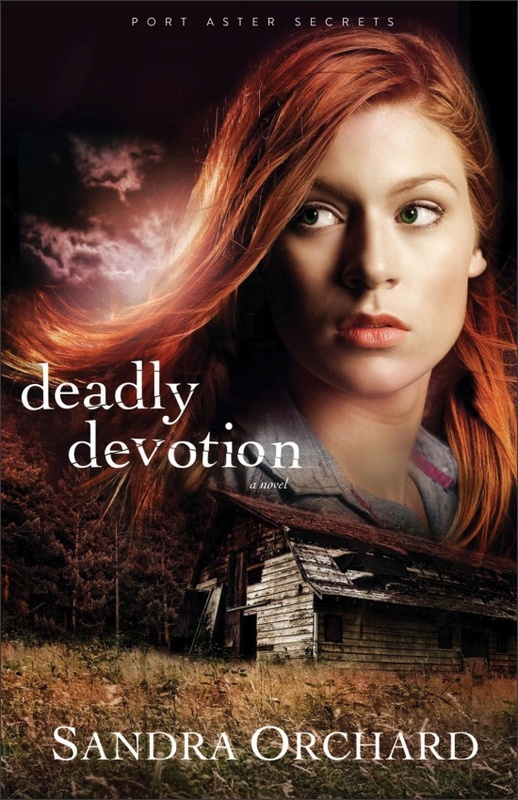 Full of suspense, Deadly Devotion will keep readers guessing until the very end. Research scientists Kate Adams and her colleague Daisy are on the brink of a breakthrough for treating depression with herbal medicine when Daisy suddenly dies. Kate knows that if it hadn’t been for Daisy’s mentorship, she wouldn’t have the job she loves or the faith she clings to. So when police rule Daisy’s death a suicide, Kate is determined to unearth the truth. Kate was a very dedicated friend to Daisy, as Daisy was her mentor and took her under her wings in learning about horticulture and herbs. When Daisy is found dead, Kate knows that Daisy's faith was strong and that there was no way she would have committed suicide, though that is what the police are saying. Kate is a strong character who gets her point across to Police officer Tom Parker, despite he suspicious behavior of the police chief. Kate has a hard time dealing with cops, her father having been arrested when she was very young. Tom has just moved back home to help his father overcome his Mother's death, though Port Aster really isn't where he would desire to be. These two unlikely people come together to solve the mystery despite the oppression around them. Kate's faith keeps her strong, and I admire her fortitude to fight for justice. I wish this book hadn't ended, but I am so glad there is a next one! I loved the suspense and mystery. Also it was really nice to 'visit' Port Aster, felt like a small town I would love to live in. Sandra Orchard is an active member in American Christian Fiction Writers, The Word Guild, Romance Writers of America and a local writing group. She recently participated in the Writers’ Police Academy for hands-on training and simulations at a police training facility. She is the author of Shades of Truth, Critical Condition, which won the 2012 RT Reviewer’s Choice Award for it’s series and Deep Cover, which won the Canadian Christian Writing Award for romance in June 2012 and was recognized as one of the top five novels of the year by Family Fiction magazine. Orchard has also received a Daphne DuMaurier Award for Excellence in Mystery/Suspense in both the inspirational category and for best score overall. She lives in Niagara, Ontario, Canada. To find out more, please visit www.sandraorchard.com.